Lisk claims to be the first “modular” cryptocurrency. Like Ethereum, Lisk was not created to be used mainly as a digital currency (as Bitcoin was), although many in the crypto community regard it as a good investment. Instead, Lisk, like Ethereum was created with the intention of existing as a basis for the creation of other applications and coins. For example, Ethereum’s protocol has been used to develop several other rather successful asset coins, including OmiseGO, Qtum, TenX, and EOS. It has also been used for the development of applications such as Etheria and EtherTweet. Like many cryptocurrencies, Lisk can go through periods of extreme volatility. Just a few months ago, LSK was trading for as low as $0.10 USD. Then, in just a few short months (between March 2017 and November 2017), Lisk went from a low of roughly $0.10 USD to an all-time high around $11 USD. That’s over a 100x increase! Today, Lisk can still be very volatile, and has pulled back from its all-time high. On a daily basis, anywhere from $3 million USD to $50 million USD worth of LSK can be exchanged. This, in part, makes Lisk one of the largest cryptocurrencies based on market capitalization. At the time of this article, Lisk had a market cap of just under $1 billion USD and it was in the top 15 cryptocurrecies. The main difference between Lisk and any other cryptocurrency is its unique protocol, which creates “sidechains” for each application developed on it. Essentially, each application developed on Lisk will have its own blockchain and corresponding token. Despite the fact that being “digital cash” was not intended as Lisk’s main function, it still has its own coin (LSK). The coin exists for the purpose of fueling the Lisk network. Ethereum’s protocol can be used to create applications that utilize “smart contracts”; Lisk’s protocol utilizes the “Lisk App SDK”, which was designed for the development of a variety of applications and functions. The team behind Lisk has created a few tools to supplement development on the Lisk platform. So far, these include Lisk-JS and Lisky. Lisk-JS “provides an interface to every API call” and “local signing for maximum security”; Lisky is “a command line interface for Lisk Core”. Lisk uses a proof-of-stake algorithm. In the proof-of-work algorithm, users’ computers are required to “mine” for coins by solving complex equations in return for token rewards. The computers on a proof-of-stake network, called “delegates” earn rewards for “forging” (also known as “minting”) new coins. The Lisk network is secured through this process. In Proof-of-Stake, the forger of the next block in the chain is chosen randomly, which means that any computer that is “forging” can be rewarded for its work at random. This prevents “centralized” mining, a problem with Proof-of-Work networks. On Proof-of-Work networks, most of the mining rewards go to the miners that have the most hashing power. Practically, this means that miners with the most real-world financial power–that is, miners that have the ability to purchase large amounts of expensive equipment to mine–often end up controlling large parts of a Proof-of-Work coin’s network. Since Lisk was created with the development of diverse applications as its main priority, there are several advantages to using it as opposed to, say, Ethereum. One of those advantages is transaction speed. When you use Ethereum to develop an application, that application exists on top of Ethereum’s blockchain. When that application runs transactions, it runs them through the Ethereum blockchain. The resulting problem is that the entire Ethereum network, including its applications, can slow down. Rather than using a single blockchain as a basis for applications, Lisk allows developers to create apps on “sidechains”. As a result, transactions on Lisk and Lisk-based applications will potentially run much faster than apps created on other protocols with single blockchains. Decentralized applications, fondly nicknamed “DApps”, are applications that are not controlled or regulated by a single centralized entity. Ethereum was the first cryptocurrency to gain popularity for its functionality when it comes to building DApps. Vevue and KYC-Chain are currently a couple of the more notable Ethereum-based DApps. So far, the smart contracts that exist on Ethereum’s blockchain have made it the most popular option for dapp development. A smart contract is a contract that must be fulfilled by all involved parties before it is executed; for example, a smart contract that automatically sends royalty payments to the actors on a television commercial every time it gets played. The smart contract keeps track of the commercial’s ownership information and the information regarding all of the people who receive royalty payments. A change in the information would require a change to the blockchain, which would in turn require consensus from each of the parties granted ownership rights to begin with. Lisk does not use smart contracts. Instead, it uses something called the Lisk App SDK framework, which was designed for the development of a variety of applications and functions, including “developing platform independent social networks, messengers, games and so on.” This framework is capable of developing the back and front ends of applications. What this means in practical terms is that Lisk App SDK can be used to develop the functionality of an application (its inner workings) as well as its user interface (the part that you actually interact with). The Lisk App SDK is open-source. This means that developers can see what one another are using the framework for, and can therefore learn from one another. The result is that the applications and functions built on the Lisk App SDK are continually improved, and therefore better overall. The Lisk App SDK is currently in-progress. 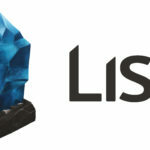 Lisk was created from Crypti by Olivier Beddows and Max Kordek in early 2016. Lisk’s ICO happened shortly after; 100,000,000 LSK tokens were created and distributed, and $5.8 million was raised. At the time of the ICO, this was the fourth-highest sum raised by a crowdsale in cryptocurrency history. Lisk went live on major exchanges on May 24, 2016. It quickly shot up to around $7, but plummeted soon after. There were a few spikes, but ultimately, the coin fell into a nearly year-long slump between $0.10 and $0.20. More recently, the coin has started to slowly gain value; over the last several months, the coin has traded between $1 and $3. As these words are being written, a single LSK token is worth $2.94. The market cap is up to $326,704,264, and there are 111,219,230 LSK in circulation. The Lisk wallet can be downloaded on the Lisk website, Lisk.io. There are two wallets; the less technical one is Lisk Nano. The wallet has a user-friendly interface that allows for delegate voting and registering a second passphrase, among other things. Lisk is currently available on Bittrex, Poloniex, Yobit, Jubi, and Hitbtc. Lisk was not created as a coin that can be used for buying and selling, so its value depends upon the adoption of its technology by developers and corporations, as well as investor interest. Ethereum had a successful run with a similar set of circumstances. The price of Lisk is still relatively low, hovering between $2 and $3. Putting a hundred bucks into Lisk could possibly bring high returns. However, there is always a chance that even the most promising of coins could flop. Do not put more money into Lisk than you are willing to lose.